conroe - Lake Houston Fishing! day trip. catfish are working the bulkheads hard in 4 feet of water. all fish and turtles caught on night crawlers. Gotta question for ya Sticko, did ya eat tha turtles? 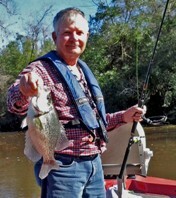 Did ya try for crappie? I did not keep them but think i should have sold them. Did you stay on the south end Sticko? I saw more beds down that way than I did up by 1375.